For this special concert event, students are invited to join the world-famous Jazz at Lincoln Center Orchestra with Wynton Marsalis as the critically-acclaimed big band performs its Jazz for Young People concert, Who is Thelonious Monk? 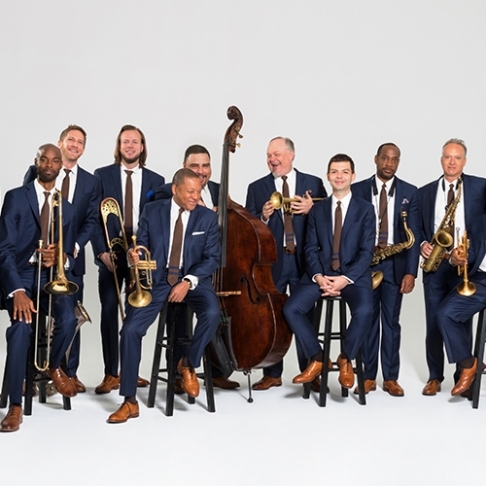 With their trademark energy and rich knowledge of the repertoire, Mr Marsalis and his band will illustrate how Monk’s playful, profound and universally loved compositions have united musicians of all backgrounds therein offering endless opportunities for analysis, interpretation and improvisation. Jazz at Lincoln Center Orchestra’s concerts spark curiosity and imagination through vivid conversation and lively performances that inspire students and teachers alike to dance in their seats. Recommended for secondary school-aged students, with broader suitability at the discretion of teachers. To discuss the suitability of this content to the learning interests and needs of your students, please contact our education team: education@mso.com.au.